Get Ready…For the Ride of Your Life! For generations there have been all kinds of wild rumors surrounding gangster Al Capone’s hidden fortune and the mysterious amusement park he built. When three kids sneak into the rundown park on the hunt for Capone’s loot, the attractions come life and take the kids on a wild and dangerous ride beyond all imagination. Now to survive the night, they must team up with a friendly sea witch, find a secret underground ride and take on an evil mermaid, bloodthirsty pirates, a fire-breathing dragon and an armada of monsters. And all on a school night! Mason’s Movies is named after writer-director Chris Parrish and co-producer Ilisa Aaron Parrish’s son, Mason Parrish, a natural storyteller whose gift of understanding the elements of good storytelling emerged early. When he passed away at the age of ten from Diffuse Intrinsic Pontine Glioma, or DIPG, a rare form of pediatric brain cancer, he left behind dozens of notebooks filled with imagined original characters, drawings and stories. The only thing Mason loved more than telling stories was his family and helping others. 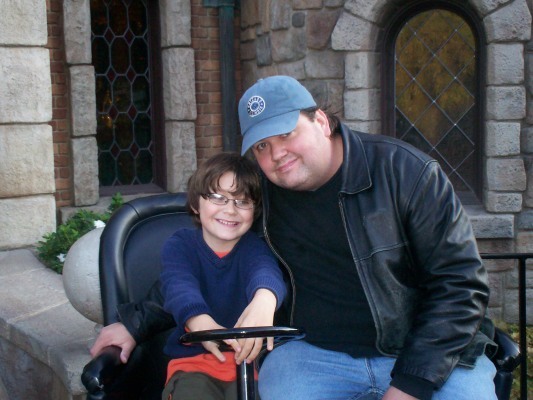 Mason thought of the idea for “Thrill Ride” after seeing the movie “Night at the Museum” with his father, Chris Parrish, a screenwriter with credits in film and television. Mason thought the movie was good but museums are boring. “Why couldn’t it have taken place in an amusement park?” He asked. Mason also thought that a kid should have been the hero. Chris loved the idea and the two immediately began brainstorming. It was an activity they engaged in frequently. Neither one were big athletes. Fathers and sons play catch, but for Chris and Mason their catch was pitching ideas to each other for stories. They kept doing that even when Mason became ill.
Mason once asked his father, “When I grow up, can we make movies together?” Chris said, “Of course.” Making “Thrill Ride” is Chris’ way of keeping that promise. In December of 2013, the first few scenes were shot and production resumed in November of 2014 with the generous support of executive producer and Chicago-area philanthropist Vincent Foglia. Proceeds from the film will go toward The Mason Parrish Foundation, a 501c3 charitable corporation with the goal of supporting DIPG research. 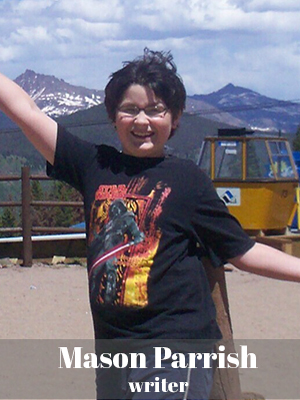 Please click HERE for more information about The Mason Parrish Foundation. 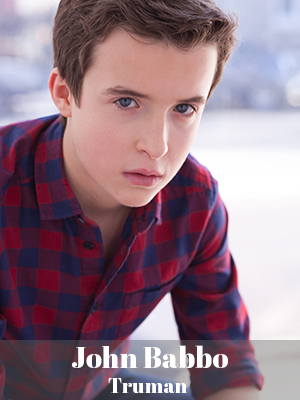 Johnston’s films include the role of Ivana Humpalot in the second Austin Powers movie, “Finding Bliss,” “Bride Wars,” “Life Happens,” “Vamps,” “Strangers With Candy,” and the upcoming independent films “Bad Parents” with Janeane Garofalo and “Lovesick” with Matt LeBlanc. Kazurinsky recently played the Wizard of Oz on the 1st National Tour of “Wicked” and appeared in “An Act of God” on Broadway. He lives in Evanston with his wife, Marcia, and one very old dog. When not in front of the cameras, Zumann enjoys photography, filmmaking, playing guitar, aerial arts, martial arts, and Parkour. Helen Sadler appears in the independent noir film “Too Late” opposite Academy Award nominee John Hawkes. Other film credits include “Contagion” directed by Steven Soderbergh, “Cass” and the shorts “All the Marbles,” “Heavy,” “The Coldest Winter,” “Wednesday’s Child,” “Credits” and “Keen.” Among her television credits, Sadler was the fairy Claudija Crane for two seasons in HBO’s “True Blood” and appeared on “Revenge” for ABC. 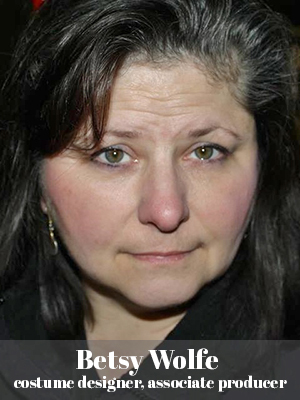 Her theater credits include numerous shows at Steppenwolf Theatre, Lookingglass and Berkeley Repertory Theatre where she was a San Francisco Critic’s Circle nominee for Best Actress in a Principal Role in 2015 for “One Man, Two Guv’nors.” Additionally, she performed at South Coast Repertory, Actor’s Theatre of Louisville, Northlight, and Writers Theatre. Tori Waite is thrilled to be making her feature film debut in “Thrill Ride.” Originally from Sleepy Hollow, Waite is a Chicago-based actress with a BFA for the stage and screen from Azusa Pacific University, and is currently pursuing a degree in communications at Moody Bible Institute. 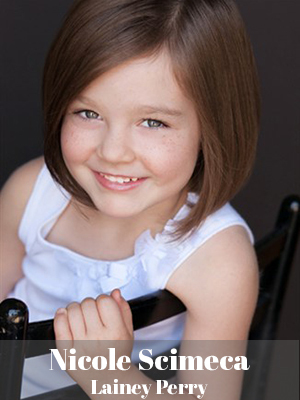 Her credits include various commercials and stage productions. Additionally, she is a happily married newlywed to Luke Waite. 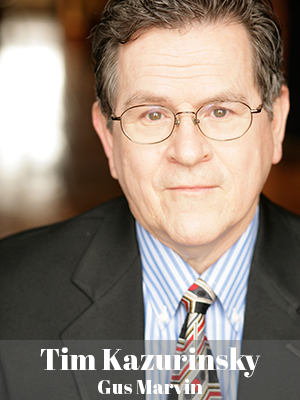 John Babbo played the role of Jim Hawkins in Mary Zimmerman’s “Treasure Island” at Berkeley Repertory Theatre. His other stage credits include “In the Garden” at Lookingglass Theatre, “A Christmas Story, the Musical” both on Broadway and with the National Touring Company, “Strandline” at A Red Orchid Theatre, “Oliver,” “Gypsy,” “Sweeney Todd” at Drury Lane Theatre, “Beauty and the Beast” at Chicago Shakespeare Theatre, “A Christmas Carol” at Goodman Theatre, “Night and Day” at Remy Bumppo, and “Medea” at Merle Reskin Theatre. 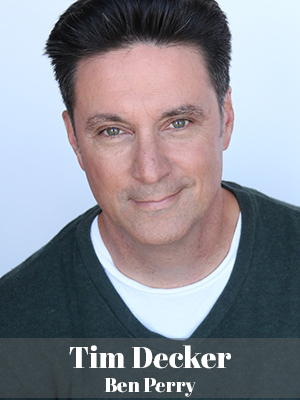 Ira Amyx has appeared in numerous television commercials and stage productions including “The Way West” at Steppenwolf Theater, “The Arsonists” at Strawdog Theater and “The Seafarer” at Seanachai Theater. In addition, he wrote and starred in “Stuck!” at the Waterwell in New York. 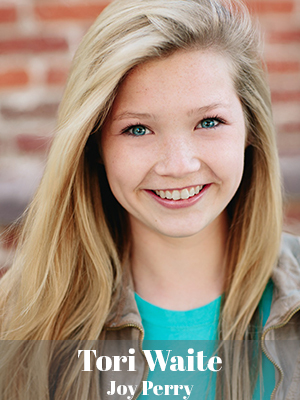 Amyx also appeared in many productions at the Idaho Shakespeare Festival. 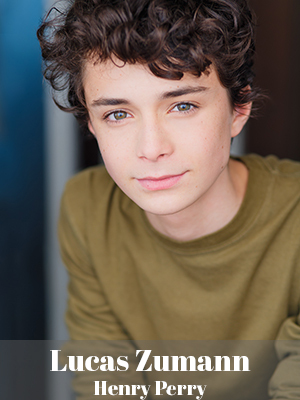 His film credits include “Hit Men,” “Second Nature,” “Dame With No Name,” “Time Traveler” and “Assassin.” Amyx’s can be seen in season four of Showtime’s “Shameless.” He received his Masters of Fine Arts degree in Acting from Indiana University. A United States Marine Corps Veteran, Lang is also a skilled motivational speaker and song-and-dance man. Chris Parrish, screenwriter, college instructor, WGAw member and DGA member was a writer on “The King of Queens” and the animated series “American Dragon: Jake Long.” He was a consultant on “Curb Your Enthusiasm” and has sold numerous television comedy pilots to 20th Century Fox, NBC, Disney Channel and Paramount Television, including the comedy pilot “Old School,” which he wrote and co-executive produced, starring John Krasinski, Jorge Garcia and Natasha Lyonne. 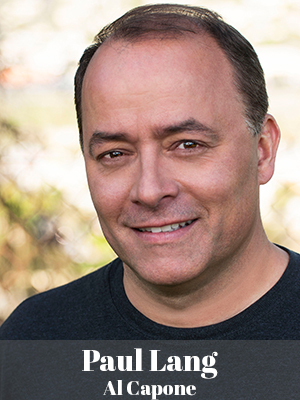 Parrish sold his first feature screenplay “Cidney Crawford Wants to Bone Me” to New Line Cinema, and went on to write and sell several other feature length screenplays including “Senior Class” for New Line Cinema, an adaptation of Dr. Seuss’ “Horton Hatches the Egg” for Dreamworks Animation, and a CG animation feature based on “Goldilocks and the Three Bears” for The Jim Henson Company starring the voices of Tom Arnold, Brooke Shields and Jami Lynn Spears. Parrish is a full-time screenwriting instructor at DePaul University’s School of Cinematic Arts in Chicago. He has previously taught screenwriting at Tribeca Flashpoint College, Santa Fe University and UCLA Extension. “Thrill Ride” is Parrish’s directorial debut. 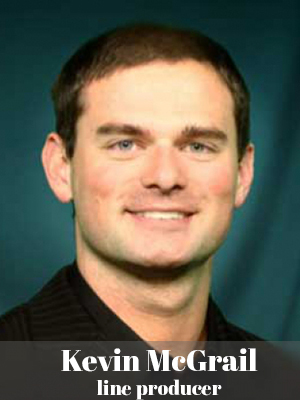 He currently resides in Woodstock, Illinois with his wife and children. 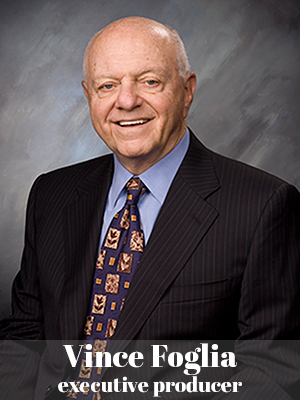 In 1971 he founded Sage Products, presently located in Cary, Illinois, a northwest suburb of Chicago. Under Foglia’s leadership, Sage Products has achieved tremendous success and is widely respected as an innovator in the development, manufacturing and marketing of prevention products sold to hospitals in the U.S. and abroad. Foglia takes great pride in the people who work at Sage and it shows. Sage associates have helped Sage earn multiple honors by being named one of the ‘Best Medium Sized Company to Work for in America. Foglia is very active with the YMCA organization, providing leadership and support. In fact, the YMCA in Lake Zurich, Illinois, bears the Foglia name today. He enjoys giving back to the many civic organizations, healthcare facilities and youth sports programs in the community by not only providing monetary support, but also offering his leadership and mentoring skills. He and his wife Pat have been named to the prestigious list of Distinguished Benefactors by The Chicago Chapter of the Association of Fund Raising Professionals. Foglia has been married to his wife, Pat, since 1963 and they have two adult children and three grandchildren. 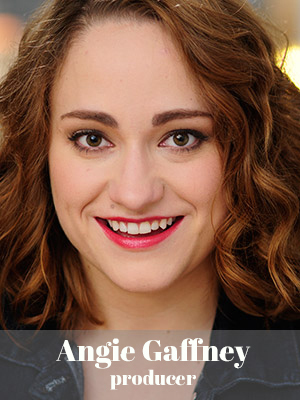 Angie Gaffney, named by New City as one of the top 50 people in Chicago’s booming film industry, is an award-winning producer, speaker and entrepreneur with experience in film, television, commercials and theatre. Formerly, Gaffney was the executive producer for The Onion, where she worked to develop their in-house agency, Onion Labs, and managed all branded content campaigns from ideation through execution. She also serves as the co-founder and executive director for Stage 18, a non-profit entertainment incubator and development lab located on the lot of Cinespace Chicago Film Studios. Kevin McGrail specializies in logistical and financial management of film, TV, commercial and web content. He has supported over 50 productions from both a business and management perspective, while also exploring unique marketing and distribution avenues for each project. McGrail is a partner in Black Apple Media, a content development and management company in Chicago, and PAX Worldwide, a financial procurement company. Through these companies, he has worked with a variety of US and International Film Tax Incentives, including Canada, UK, Italy and even the Dominican Republic. McGrail has successfully secured over 15 tax incentives from multiple different states. Additionally, he maintains a strong relationship with Cinespace Studios in Chicago and Toronto, and continues to develop international relationships with companies such as Indomina/Pinewood Studios in the Dominican Republic. 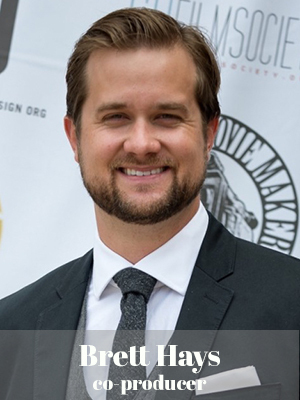 Brett Hays has been producing films for over ten years and is an active member of the Directors Guild of America (DGA) as a unit production manager. 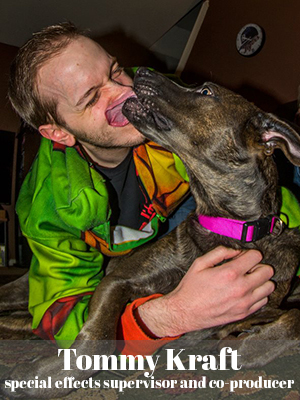 In 2006, he became co-owner of Shatterglass Studios and has built it into a premier production company in Illinois. 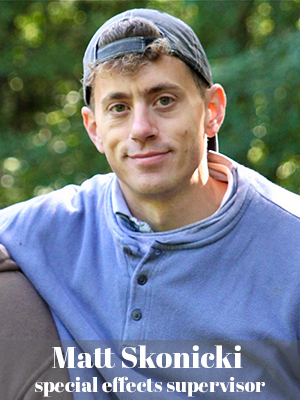 In 2015, He created the film development company, Shatterglass Films, which is now developing multiple independent film projects. 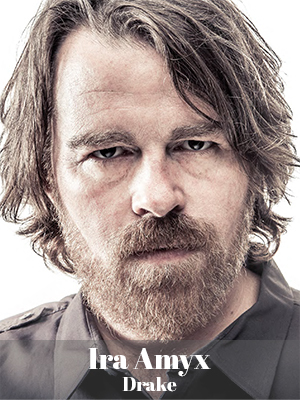 Hays is known for his work as a producer, line producer and unit production manager (DGA) on productions that starred the likes of Danny Glover, Taylor Kinney, Anthony Edwards, Victor Garber, Zoe Lister Jones, Griffin Dunne, and Tom Sizemore. He is also a co-founder and member of the Board of Directors of the CU Film Society, a 501c3 that is known for their Pens to Lens K-12 screenwriting competition & gala. Hays and his companies have been recognized for their work with awards ranging from the Small Business of the Year, to numerous Entrepreneurial Social Venture awards, to a Regional Emmy from the National Academy of Television Arts & Sciences. 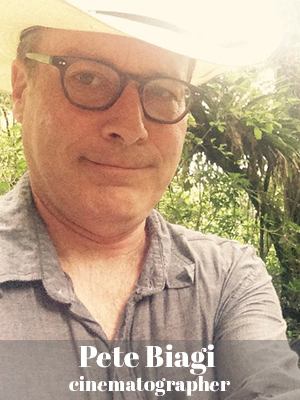 Biagi has enjoyed shooting 21 feature films, and many narrative shorts and long form documentaries. He loves to imagine and invent the visual imagery for narrative, documentary and experimental storytelling. 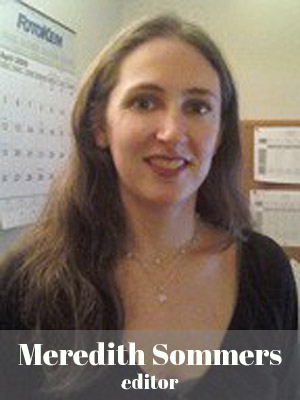 Film Editor Meredith Sommers is originally from New York. Since moving to Los Angeles over a decade ago, she has worked on numerous television shows including “Numb3rs,” “In Plain Sight,” “The Client List,” “Vegas” and “Covert Affairs.” In addition, she has edited numerous short and feature films including “Model Minority,” “Death in the Desert,” “Wild Prairie Rose” and most recently “Waiting for the Miracle to Come,” executive produced by Wim Wenders and Bono. Sommers was a finalist for the 2015 Sundance Institute’s Sally Menke Memorial Editing Fellowship. She received her B.A. from American University in Washington, D.C. with a double major in Performance Music (cello) and Law & Society. 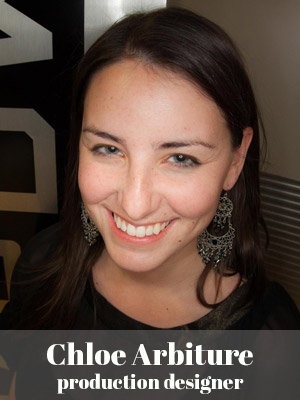 Chloe Arbiture is an award-winning production designer, designing for commercials, television and feature films. After receiving a BFA in Film from the University of Wisconsin-Milwaukee, she began working in Los Angeles, CA. 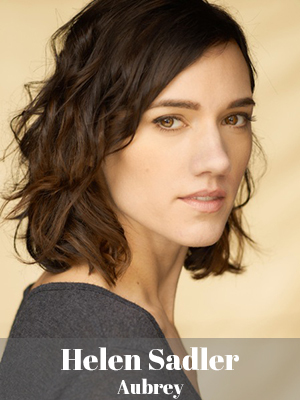 Key television credits include “The Roast of James Franco” (red-carpet pre-show), “The BBCA 50th Anniversary Special of Dr. Who” and season four of “Drunk History.” Additionally, her design credits include the feature films “Honeyglue,” “Dumbbells” and “Brave New Jersey.” Arbiture’s design style is known for its bold colors, clean lines, and eclectic mixture of modern and vintage. 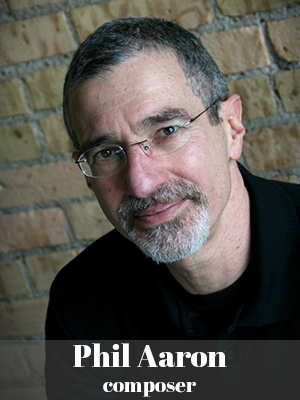 Phil Aaron hails from Chicago and grew up on deep-dish pizza. After studying at Berklee School of Music and The University of Illinois, Aaron moved to California. He eventually landed on his feet at UCLA, where he was music director of the dance department. He also taught at Santa Monica College. Upon arriving in Minneapolis, Aaron taught “Music for Dance” at the University of Minnesota. He has since gone on to build dual careers of composing music for film and television by day, and playing jazz by night. Aaron has composed scores and main themes for numerous locally and nationally broadcast television shows, films and documentaries, as well as theatrical releases. 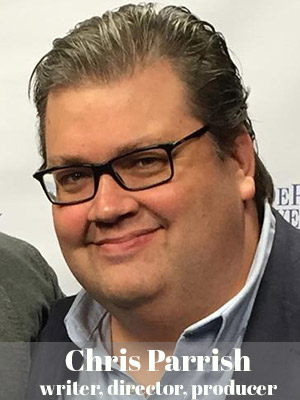 He has received local and international recognition for his music scores – including numerous Tellys, International Film Festival awards, an International Monitor award, and two Midwest Regional Emmys. As a jazz pianist, Aaron has recorded five CDs and performed with a variety of national and international musicians, including Lee Konitz, Eric Alexander, Jim Rotondi, Jim Snidero, Byron Stripling, Muddy Waters, John Patitucci, Bob Sheppard, Jackie Allen and Barbara Morrison. Betsy Wolfe worked as a theater performer, director, music-director, producer and costume designer for the past 30 years in the Northwestern suburbs of Chicago. Her first costuming jobs came while earning her Fine Arts degree at Judson University. 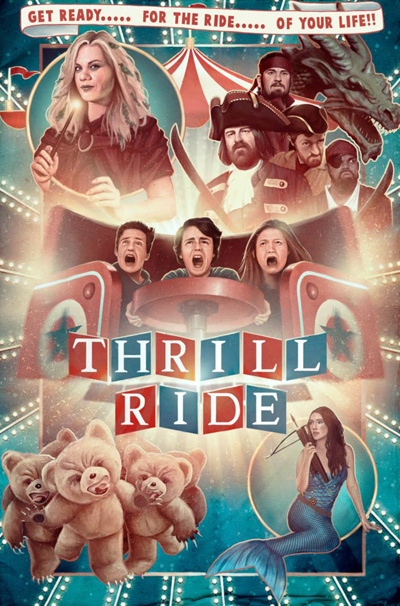 Check out the press links for Thrill Ride!